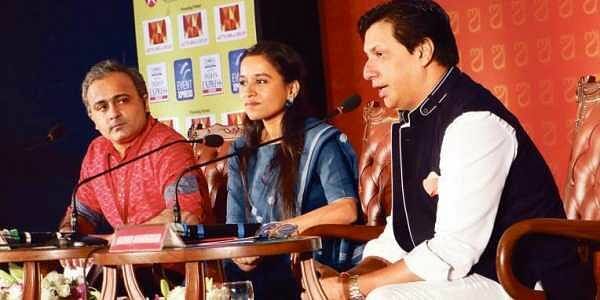 BHUBANESWAR: Selective activism against films or even support sets a wrong precedent, said noted filmmaker Madhur Bhandarkar here on Sunday. Speaking at a session on “Changing face of Indian Cinema” at Odisha Literary Festival 2017, the acclaimed director of films like “Chandni Bar” and “Fashion” said, he has encountered selective positioning from the Bombay film industry. “Nobody stood up for me when my film “Indu Sarkar” was facing a massive protest and I had to seek police security from Maharashtra Government as I was hounded for two months. Even my own film fraternity did not stand up for me. Not even 140 characters on Twitter to support me,” he said. Be it “Ae Dil Hai Mushkil” or “Udta Punjab,” or for that matter “Mersal,” there should be a united fight - and not selective stand - against demand for ban. “In my personal opinion, no film or book should be banned. When films have already been cleared by Censor Board, it must be screened,” he said. Bhandarkar was recently in news when he objected to Rahul Gandhi’s support for the Tamil film “Mersal” on the grounds that the Congress leader was adopting a double standard by supporting one film but not standing up when “Indu Sarkar” was facing protests. Independent critic and writer Jai Arjun Shome initiated the conversation about censorship citing the iconic climax scene of Kundan Shah’s “Jaane Bhi Do Yaaro” which he said could have faced protests had the film been released today.Bhandarkar said, political parties or religious groups protesting or seeking ban on films is not new. He cited how BR Chopra’s “Nikaah” had faced protests over triple talaq issue and how “Aandhi” was banned in 1975. “It has happened time and again. But when a film has been cleared by the Censor Board, it must be screened. People will see if they want to or they won’t. But, I am against selective positioning. Duplicity has to change among people who take a stand on such issues,” he said. Actress Tillotama Shome, known for her critically-acclaimed roles in films like “Monsoon Wedding,” “Qissa,” “Hindi Medium” and “Death in the Gunj” echoed similar sentiments and said filmmakers across the globe are smart enough to work on sensitive subjects. “An oppressive government and decision maker has a power to change things but it can also be an ally for filmmakers to tell the story without letting them know,” she added. While we are waging a battle against one film at a time for our sense of freedom and responsibility in telling stories, Shome said filmmakers are pushing the envelop by talking about subjects like homosexuality. “However, lack of censorship does not always mean good cinema,” she added.